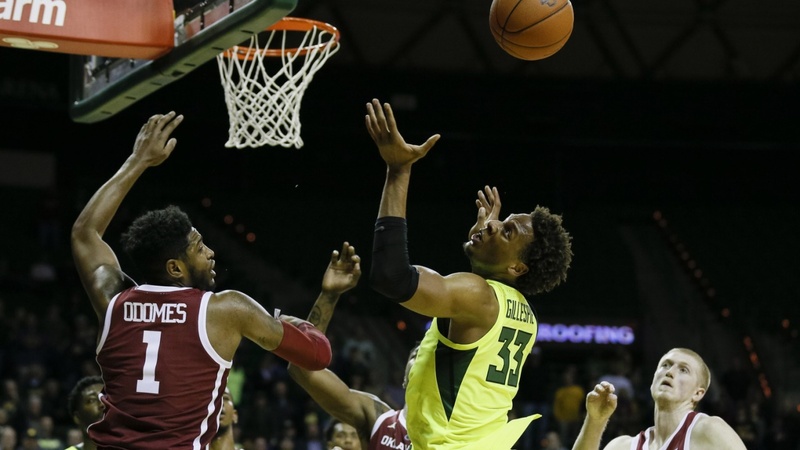 Baylor (16-8; 7-4) defeats Oklahoma (15-10; 3-9) in a defensive struggle in Waco. The Bears get 4 days of rest before facing Texas Tech on Saturday in Lubbock. Despite poor shooting (2-14), great floor game by Makai Mason (8 assists; 2 turnovers). Devonte Bandoo was huge with 19 points (5-7 from 3 point range). Freddie Gillespie made tons of winning plays down the stretch- rebounds, blocks and a big put back bucket. Holding OU to 0.91 points per possession. Great defense. Got up 11 and then allowed OU to go on a 10-0 run. That will lose you most games. Have to knock teams out up 11 in the second half.